Photography students at The Sixth Form College, Solihull are embracing a unique opportunity to work on a real client commission this term. 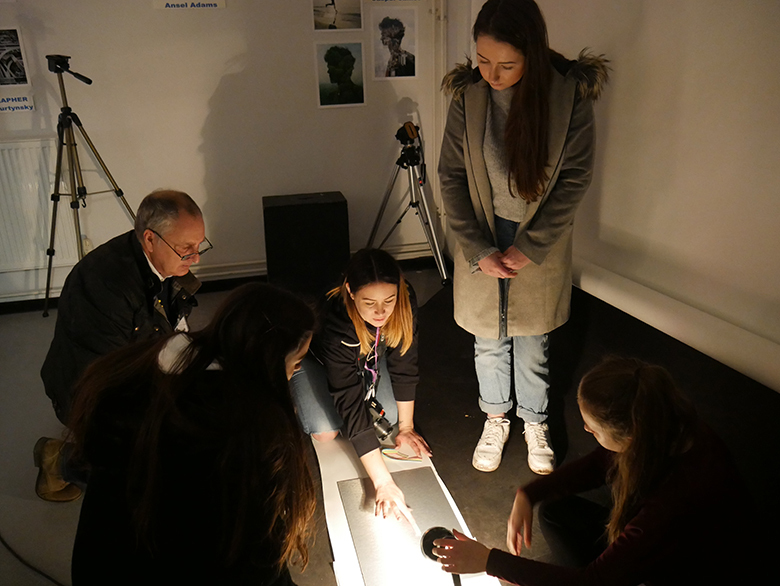 Professional commercial photographer, Steve Carse, visited the College last week to work with first year A level Photography students on a live brief that they have four weeks to complete. Students are being asked to produce a series of photographs for Mr Simms Olde Sweet Shoppe in Solihull. The company will use images they select at the end of the project for their online advertising and promotional material. The students have visited the shop to get inspiration and during his time in College Steve Carse helped the students with the skills needed for this genre of photography. He watched students in the studio trying out different lighting and photography techniques to see what would work best for the product. As well as Photography, the College offers A levels in Fine Art and Graphics and a BTEC Extended Diploma in Art & Design.